Greenies Dental Chews for Dogs do more than clean teeth and freshen breath. They reduce plaque and tartar build-up, the leading causes of oral disease. Containing added vitamins and minerals, an irresistible taste and unique shape for maximum cleaning. 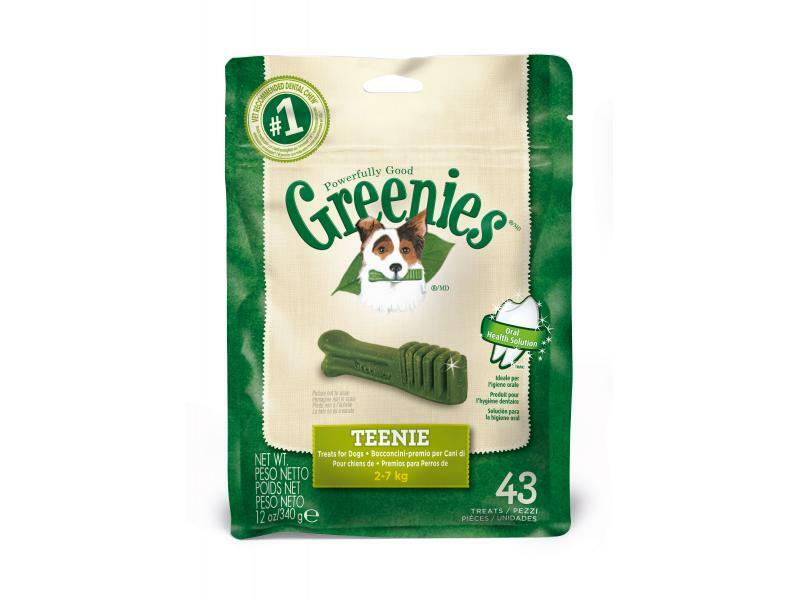 Greenies are easily digestible and clinically proven to clean dogs' teeth and are the easy way to maintain healthier teeth and gums. 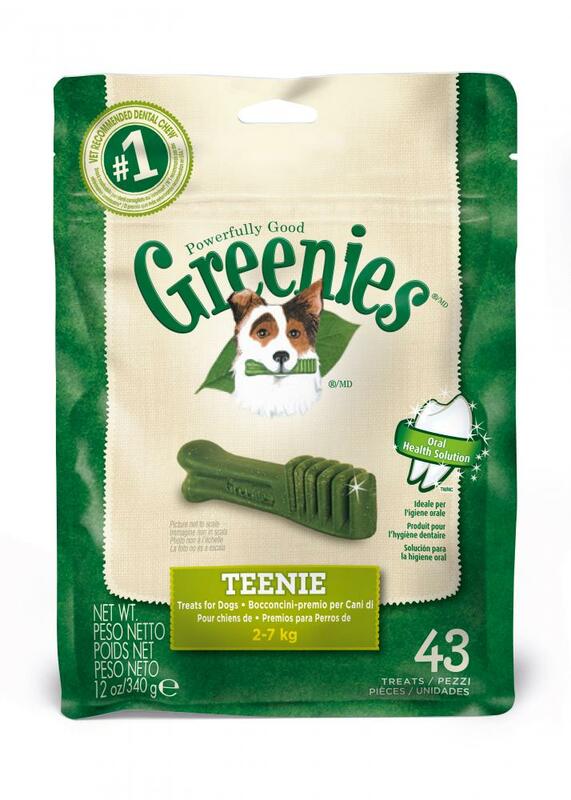 Independent testing confirms GREENIES™ Dental Chews for dogs are highly palatable and great-tasting. 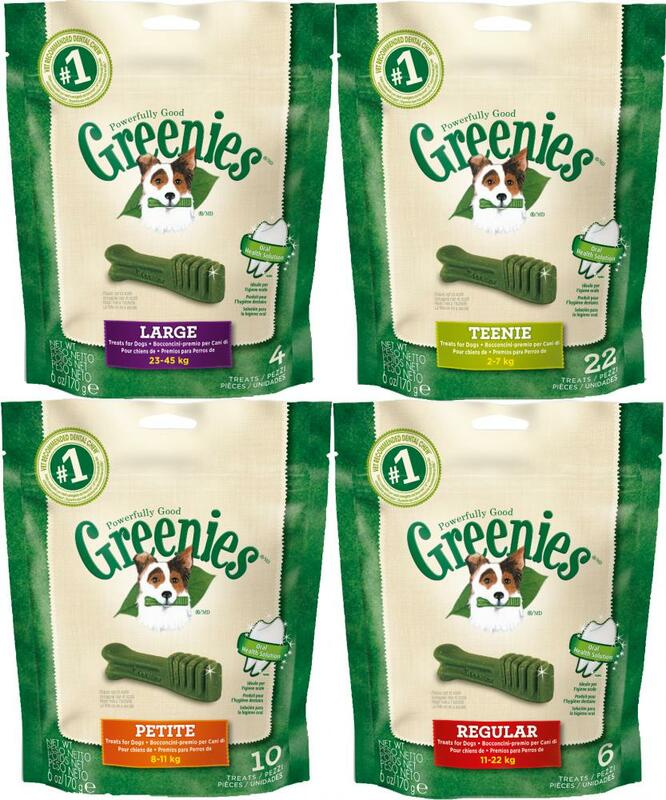 Our dental chews come in five unique sizes to offer the most appropriate texture and hardness for dogs with a variety of bite-force capabilities. GREENIES™ Dental Chews have The Veterinary Oral Health Council Seal of Acceptance for plaque and tartar control. Feed one GREENIES™ Dental Chew per day. For dogs 25-50 lbs. Not suitable for dogs less than 5 lbs. or dogs less than 6 months of age. Fresh drinking water should always be available. For each GREENIES™ dental chew fed, reduce your dog's main meal by 95 kcals. 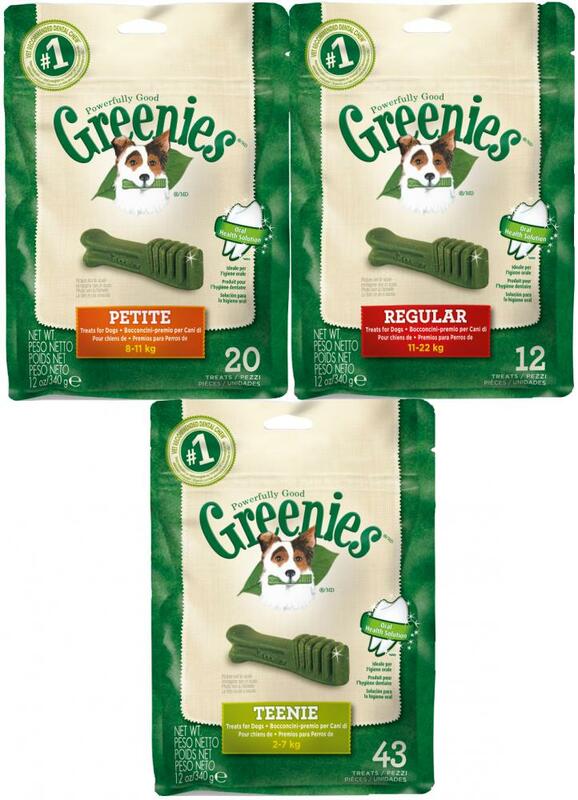 Below are some recent questions we've received regarding Greenies Dental Chews for Dogs, including answers from our team. 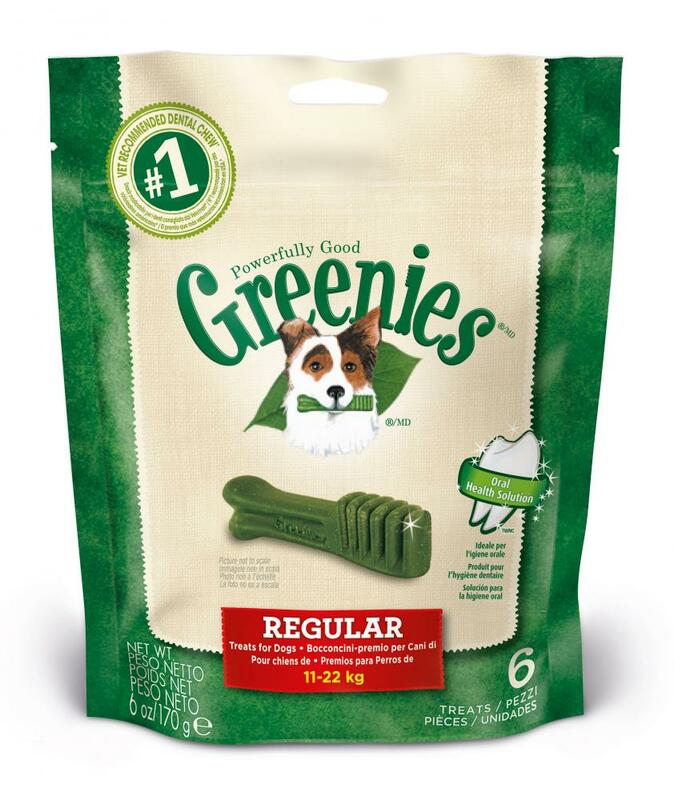 After reading the ingredients and seeing that the chews have 'natural poultry flavour' I ordered them for my dog who can only eat poultry meat due to allergies. When reading the ingredients on the pack after they arrived, it states they have 'meat and animal derivatives' and I would like to know exactly what these are. I am not going to risk giving any to my dog until I know for certain what's in them, as he will suffer greatly if there is meat in any other form. I would rather throw them away than risk what will happen to him! I have spoken to the manufacturers who have confirmed that the chews only contain poultry which is classed as chicken or turkey. 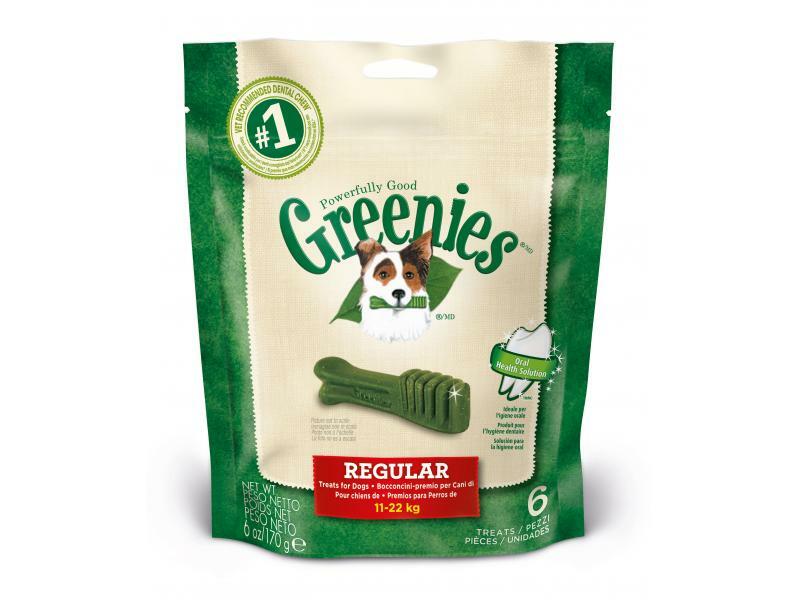 my dog can not have dairy, wheat, rice or chicken, would these be ok for her. Here is the complete ingredients list for this product. It does contain wheat and wheat protein so would not be suitable for your dog.